Infant exams: Did you know that children who start seeing the dentist by age one have fewer cavities throughout their entire life? Both the American Academy of Pediatric Dentistry and the American Academy of Pediatrics recommend that a child's first visit to the dentist should occur no later than age one. During this visit, our doctors will perform an infant exam to evaluate development, hygiene, bottle-feeding or breast-feeding habits and general diet etc. to make sure those teeth stay healthy! Preventative and restorative treatment: Dr. Kempton and Dr. Rawson are trained and qualified to treat every aspect of pediatric oral health. This includes preventative services, such as: cleanings, x-rays, oral exams, and sealants. And just as no two children are the same, neither are two mouths. When your child's x-rays show a need for restorative treatment, our doctors will discuss recommended procedures with you in detail. Treatment could include composite (white) fillings, amalgam (silver) fillings, stainless steel crowns, pulpotomy or pulpectomy otherwise known as root canal therapy, and sometimes even extraction. No matter the case, you can be assured that everything will be explained thoroughly to you. Sedation dentistry: Sometimes the best visits to our office are the ones you can sleep through! At Children's Dental, we offer nitrous oxide, also known as "laughing gas" to help calm children with mild to moderate anxiety about dental work. For children who are very apprehensive or have extensive treatment needs, conscious sedation may be necessary. Conscious sedation is a procedure using "sleepy juice" or additional oral medications to help relax your child. "Sleepy juice" is intended to make your child drowsy, and they may possibly fall asleep, but they will remain conscious. 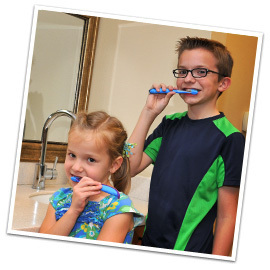 Hospital dentistry: If your child is very young, unable to tolerate treatment in the office, or has special needs, our doctors has privileges at Yuma Regional Medical Center to perform the work safely in one visit. The staff will discuss this option with you if necessary. 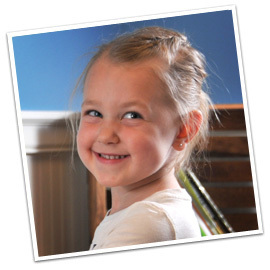 School programs: At Children's Dental, we care strongly about patient education. In an effort to teach children about the importance of oral health, we offer school programs for pre-school and grade-school aged kids. You can choose between two different options. Option number one allows a school/class to schedule a time to visit the office. Option number two allows a school/class to schedule a time for staff members from Children's Dental to come do a presentation. Either way, these fun and interactive programs teach children about teeth, nutrition, oral hygiene, and what to expect at the dentist's office. Call today to find out more about our educational programs.